The street artworks of Gary John have a whimsical yet exciting and bold quality, inspired by classic cartoon and comic book characters rendered with acrylic paint in a bold graffiti style, on newspaper, magazine pages or cardboard. His mixed media works blur the boundaries between Pop Art, Abstract Expressionism, and Street Art. 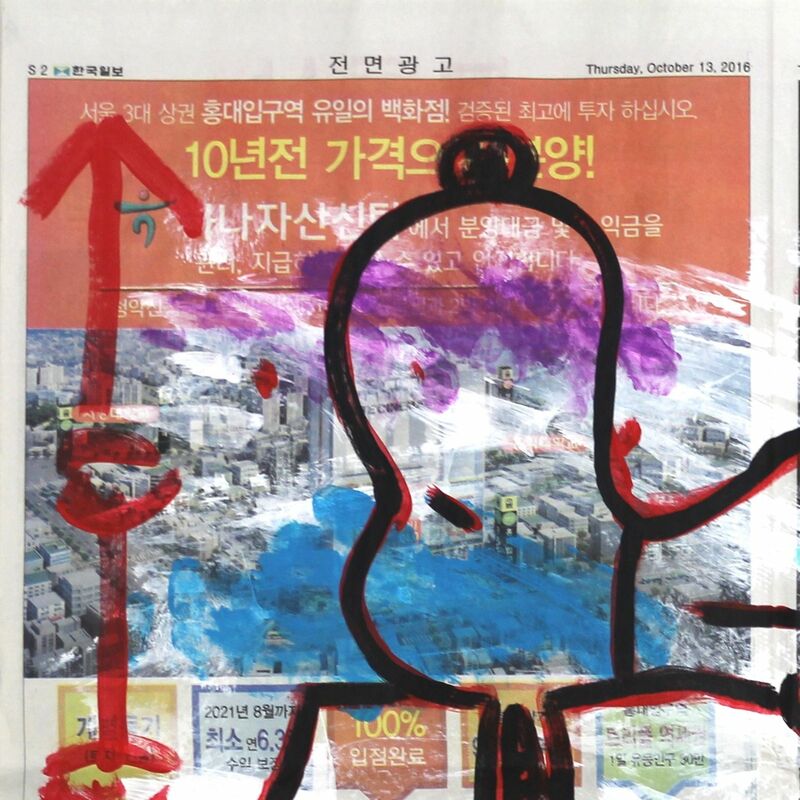 This throughtful acrylic painting of a "Pensive Snoopy" executed on found Korean newspaper contains the quintessential symbolism of Gary John, including references in red to the many homes he's lived in, his period of homelessness, mythic tribe affiliations, and his constant trajectory upwards in life. This unique artwork is dated and signed on the front with the first two letters of Gary John's first and last name: "GA JO." A certificate of authenticity issued by the gallery is included. Convenient Continental US shipping and affordable worldwide shipping is available. Gary John has been a street artist since 1985. Originally from Seattle, Washington, he moved to Venice Beach, Los Angeles in 2003 and began selling on the Venice boardwalk. 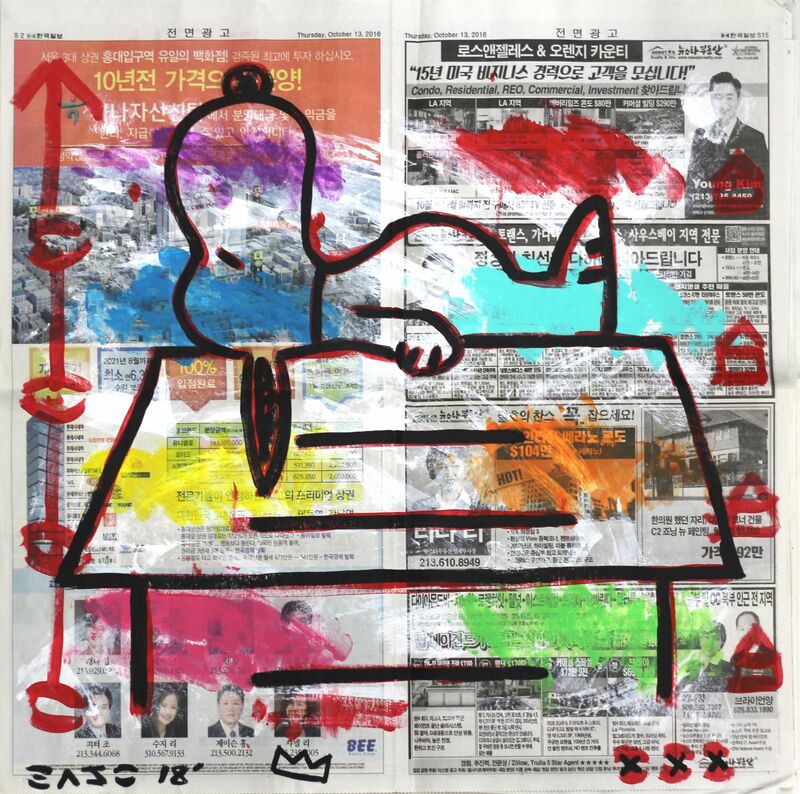 His street artworks have a whimsical yet exciting and bold quality, inspired by classic cartoon and comic book characters rendered with acrylic paint in a bold graffiti style, on newspaper, magazine pages, architectural plans or cardboard. 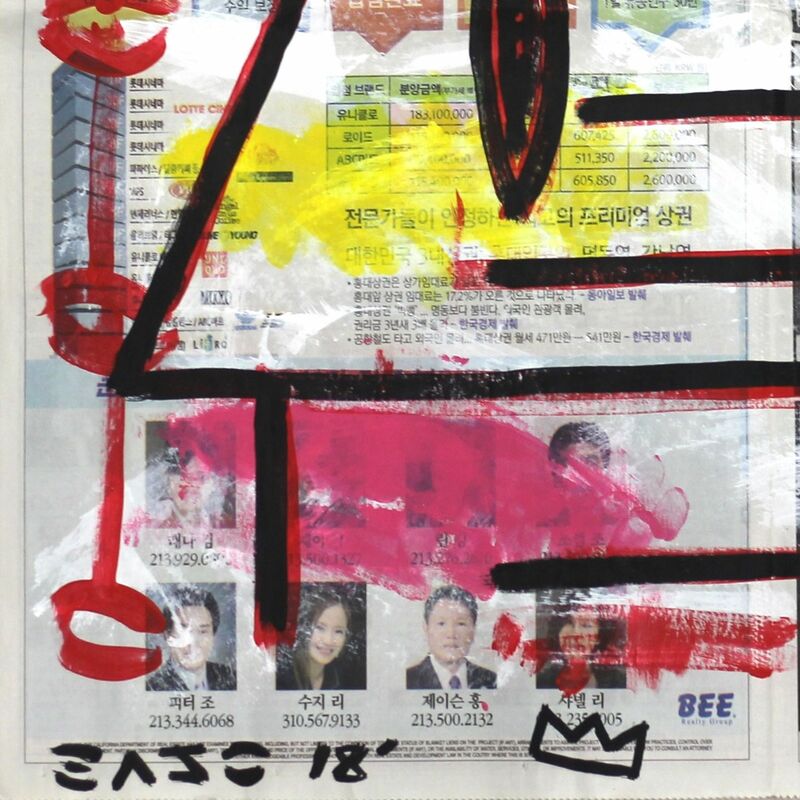 His mixed media works blur the boundaries between Pop Art and Abstract Expressionism mixed with Street Art. After almost 10 years on the boardwalk and experiencing “a bout with homelessness,” John first exploded onto the international art scene during Art Basel Miami in 2013. John’s playfully bold work quickly gained attention and he was named one of 20 standout artists at the 2014 NY Affordable Art Fair. 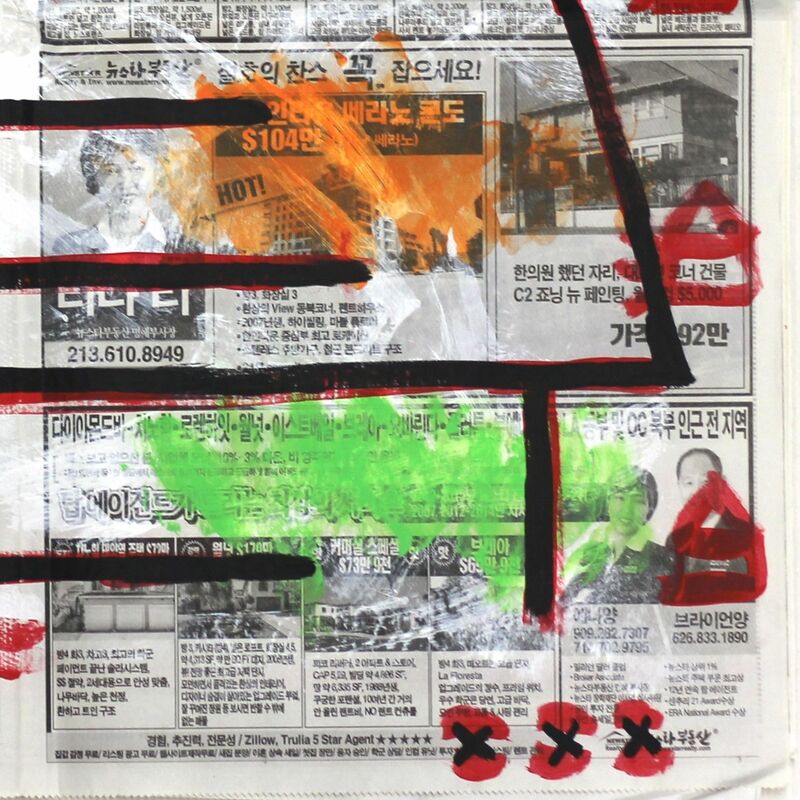 His artworks continue to be exhibited at galleries and major international art fairs in the United States, Asia and Europe. John cites Pablo Picasso, Keith Haring and Jean-Michel Basquiat as his artistic inspiration. Other influences are comic books and American pop culture, which he infuses with emotional and impulsive gestures.